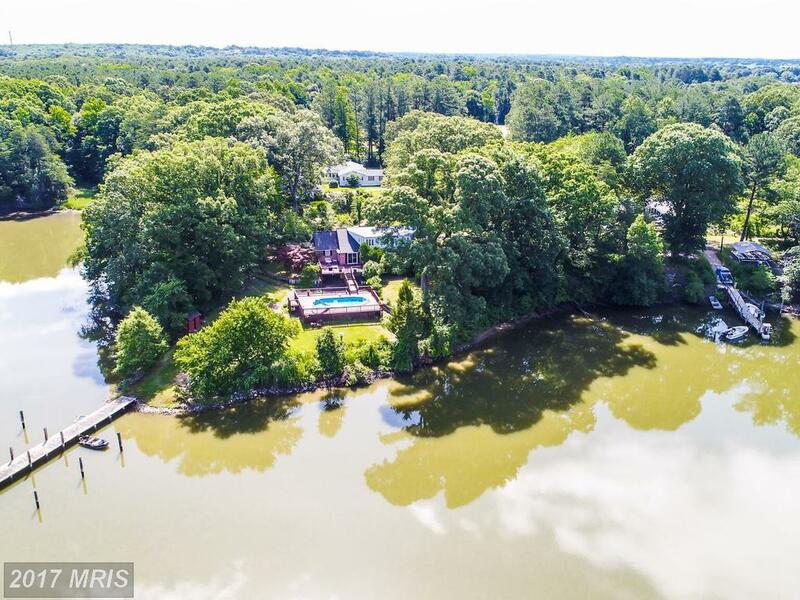 Huge 4, 600 sq ft WATERFRONT home located on 1.52 acre private oasis! 75 deep water pier. Large deck with above ground pool and amazing 270 degree water views for summertime enjoyment! Upper level in-law apt. w/2 bedrooms and 2nd kitchen. Estate sale. Home sold in "AS IS" condition. No FHA or VA financing. Priced almost $300K BELOW tax assessed value. Remodel this home and make it your own now!